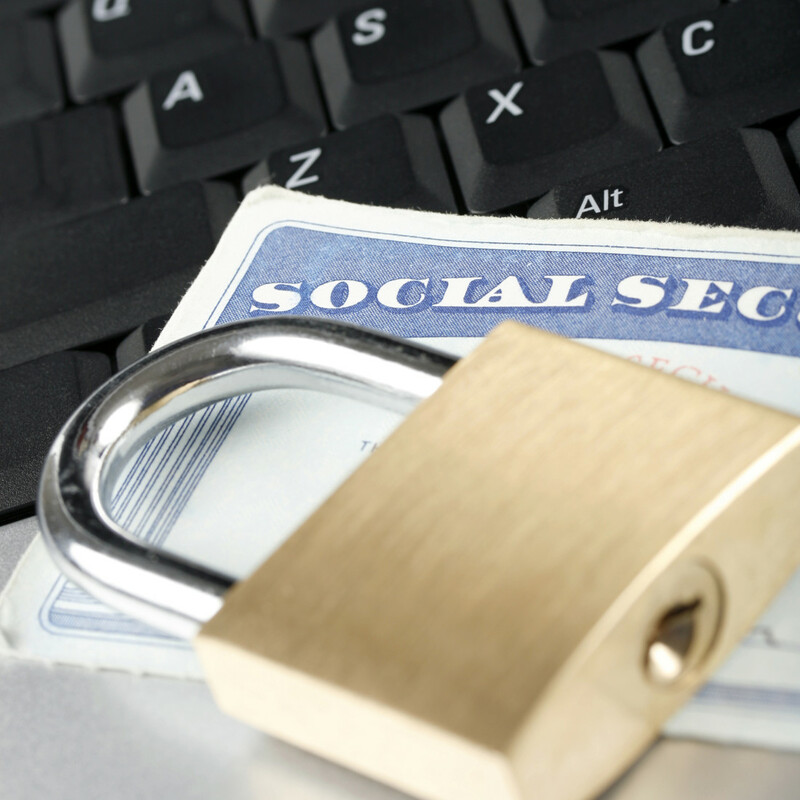 This article identifies the steps that a person whose social security number is compromised should immediately take upon learning of a problem, as well as actions to take to protect against the risk of identity theft in the future. Immediately obtain a free credit report from all three credit reporting companies (Equifax, Experian, and TransUnion), which can be done for free from www.annualcreditreport.com. Carefully review each report for any suspicious transactions. If a fraudulent transaction or line of credit is found, then the credit reporting companies should be immediately notified regarding the fraudulent activity. If there are no suspicious transactions in the reports, there are a few options available. The most conservative approach is to freeze credit with each credit reporting company. When an individual's credit is frozen, however, no new lines of credit can be opened or closed. The freeze can be permanently removed, temporarily removed, or removed for a particular transaction, but it’s important to note that there is a small fee involved to freeze or unfreeze credit, as well as a time delay to unfreeze credit. The fee may be waived if a police report has been filed. Next, call every relevant financial institution and alert them that there has been a breach of personal information. Request a fraud alert be placed on all accounts (including bank accounts, credit card accounts, debit card accounts, brokerage accounts, etc.). Consider enrolling in a credit monitoring service. In many cases, once enrolled with a service, an individual is assigned a personal representative who can help guide the process of dealing with credit reporting companies, sometimes including making calls to the credit reporting companies with the individual on the line. Place a fraud alert with each credit reporting company. The placement of the fraud alert causes a phone number to appear when a vendor attempts to pull an individual’s credit. The alert tells the vendor that there has been fraud on the individual's credit, and that the vendor should attempt to contact the individual at the phone number provided. The alert does not prevent the vendor from opening the line of credit - it merely tells the vendor to attempt to contact the individual at the number provided. The vendor then has the duty to call the number provided and verify the identity of the person answering the phone. If the vendor is a part of the fraud, however, the vendor could bypass the fraud alert. This is why a credit freeze provides more protection than credit monitoring or a fraud alert. Consider filing a police report if there has been an instance of fraud with regard to personal information. While it is unlikely that the police will investigate the breach or potential fraud (unless it is significant), it is helpful to have a copy of the police report to send to any agency or party to prove the occurrence of identity theft. Keep in mind, however, that neither credit monitoring nor placing a fraud alert on credit can provide complete protection from identity theft or fraud. The monitoring will usually only inform the individual when a vendor pulls credit or opens a new line of credit. Therefore, the individual who signs up for credit monitoring is responsible to check emails and various alerts in order to make sure that each alert is not due to fraudulent activity. A few final thoughts for individuals concerned with identity theft and fraud are listed below. An identity theft victim may file a report with the Federal Trade Commission. While this is a good practice, it often does not lead to a direct investigation of any claims. The FTC uses the report to track trends and collect data regarding identity theft. The federal government has created a useful website (www.identitytheft.gov/steps) that is an excellent source of information that covers many different types of identity theft. Tax return fraud is occurring more and more often and typically involves using stolen personal information to claim an individual as a dependent and then collect the refund before the IRS can verify the accuracy of the tax return. It is difficult to prevent this type of fraud, but if it occurs, an individual can file Form 14039 with the IRS and call them to alert them of the fraud. A return can be re-filed to avoid liability, and the IRS will assign a PIN that will be required for the future years' returns. Finally, please note that the passage of time does not eliminate the risk of fraudulent activity. Many fraudsters steal personal information (e.g., social security numbers) and hold it for ten years or more before acting with it. Once personal information has been stolen, the individual will need to remain vigilant for the foreseeable future. Again, this is why many individuals prefer to keep their credit frozen and only unfreeze temporarily when a new line of credit is needed. Identity theft is a real and growing threat. It’s difficult to prevent, but the steps outlined in this article can help reduce the risk and the potential harm of identity theft. Vigilance is the best deterrent.